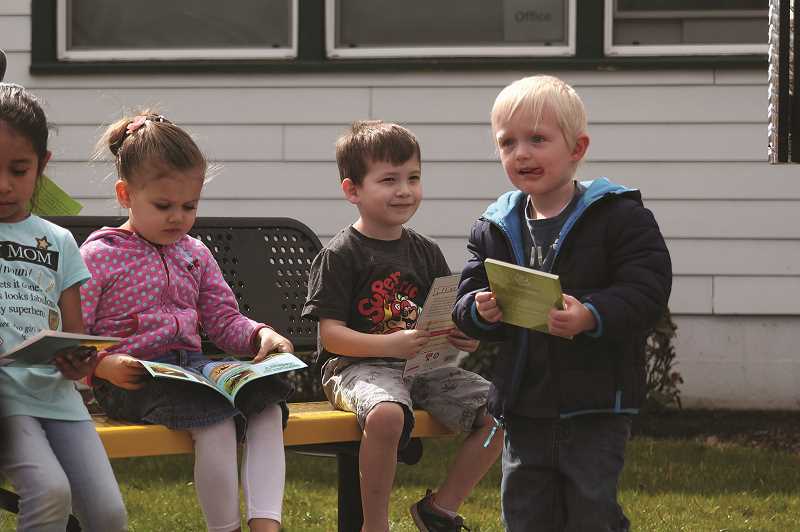 The weather cooperated nicely for the unveiling of Gervais Elementary School's new Free Little Library reading nook located just outside the school's front doors. 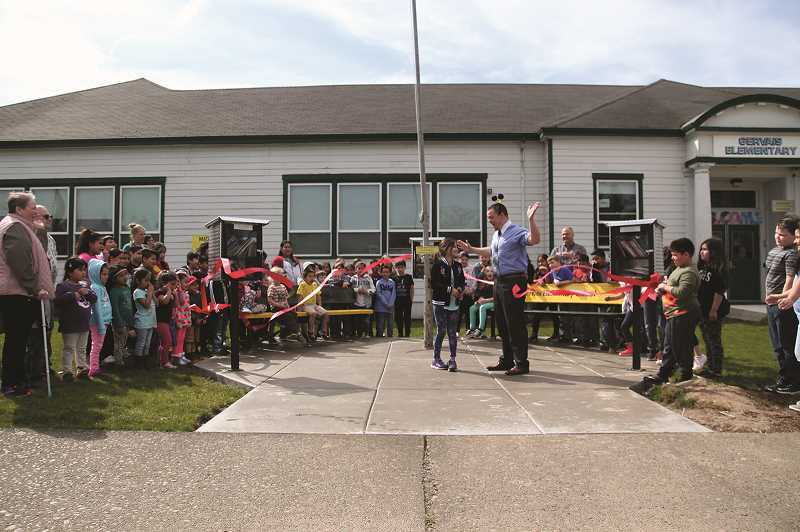 Several classes of elementary students, along with Gervais Mayor Shanti Platt and school district administrators, gathered on March 19 to cut the ribbon on the school's new outdoor library boxes. The project features three weather-proof library boxes filled with books for readers from pre-kindergarten through young adult. It was part of a $1,000 OnPoint Community Credit Union grant awarded last year. 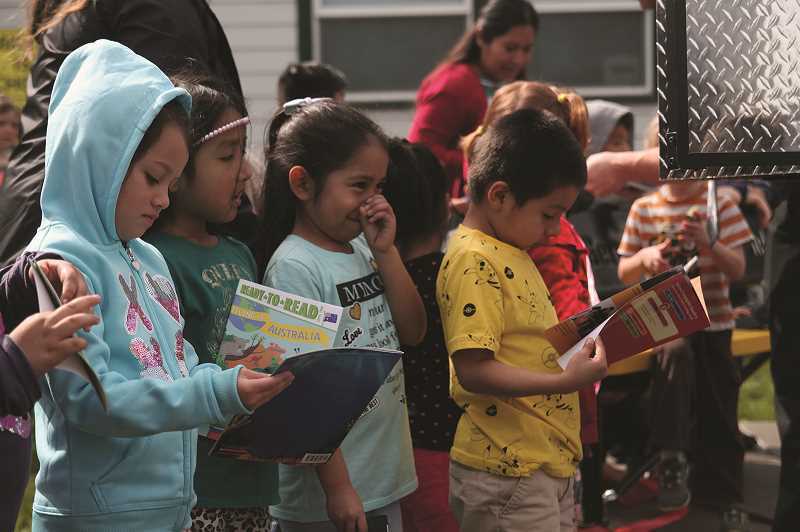 "This community doesn't have a library, and there's so many parents who would love to have books at home, but they either can't afford them, can't get to Woodburn or whatever," said Gervais Elementary School Principal Creighton Helms. "So we just put this out here and give them an opportunity." The library station is divided into separate boxes, each catering to a different reading level. Between the boxes are a pair of benches painted in school colors, yellow and black. The entire nook is placed on a concrete pad in front of the school under the flag pole. While a full-blown ribbon-cutting ceremony complete with city dignitaries may be a bit much for a small library nook, Helms said it is more about the symbolic gesture of how the school district is serving the community and helping to create a positive environment for parents and students. "I think it's a neat way to try to bring people together," Helms said. "It's right in the center of town and is a good focal point for something like this." "Now that the weather is getting better, we'll look down in the afternoons and just see parents sitting on the benches and talking to each other while they wait for their kids to come out." 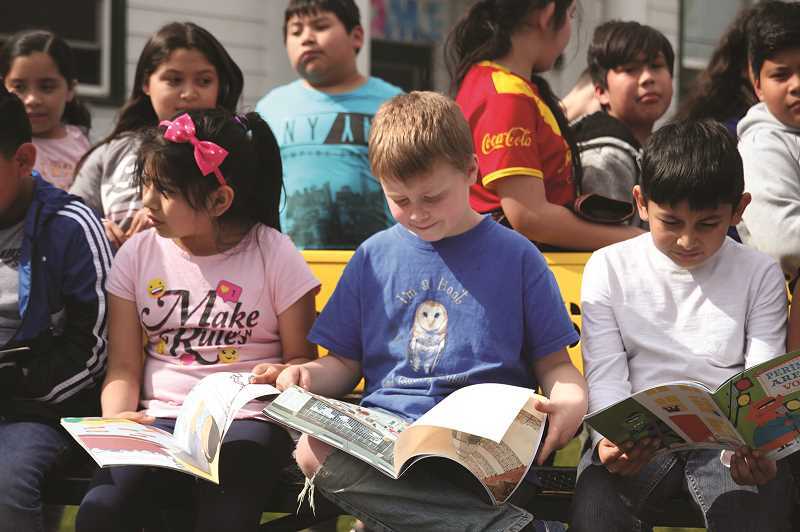 Helms said students may take the books home and either return them for new books, donate their used books, or simply keep them to expand their own libraries. The new libraries were one of several grants the elementary school has received during the past fiscal year. More than $15,000 in donations have been used to pay for soccer equipment, music instruments and a school leadership coach. Most recently, GES was awarded a $5,000 grant through the Portland Trailblazers to help start a Lego Robotics club and High Altitude Balloon Launch team. Additional grants include paint from True Value Hardware Foundation to paint the interior of the school's gymnasium and 60 NFL Flag Football-In-School kits. "That's one of the things we're trying to do is just try to bridge whatever divide there might be between the community and the school system," Helms said. "It's a small gesture, but these kinds of things I hope add up to let them know we're doing our very best to serve their kids."